Networking and therefore finding the right contacts, people, or know how is a vital factor for success in today’s economic life. When Raiffeisen invited us to present our ideas on the next step of business networking, sharing their existing project with us, it steered our brains and visions on how to take networking to the next level. As our approach seemed a perfect extension and match to their ideas, Raiffeisen opted for the team of jumptomorrow as a project partner. The scope: build up a managed, high level networking platform to meet the demands and expectations of CEOs and entrepreneurs with excellence as a scalable business application, hosted within the high security server infrastructure of Raiffeisen. 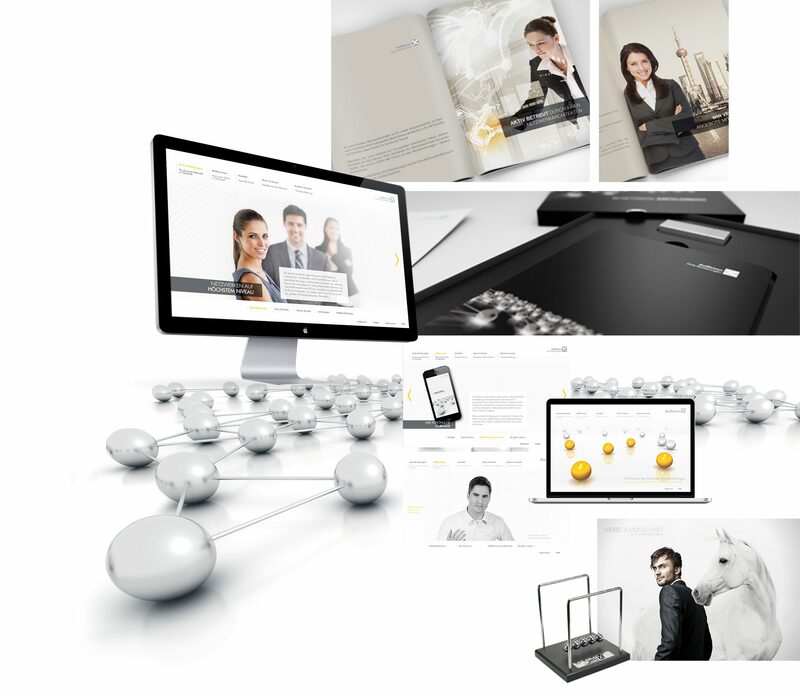 In close relation with the client, the development progressed rapidly and grew into a unique platform, appreciatively mentioned in international bank magazines as a best practise for forward thinking bank product development. 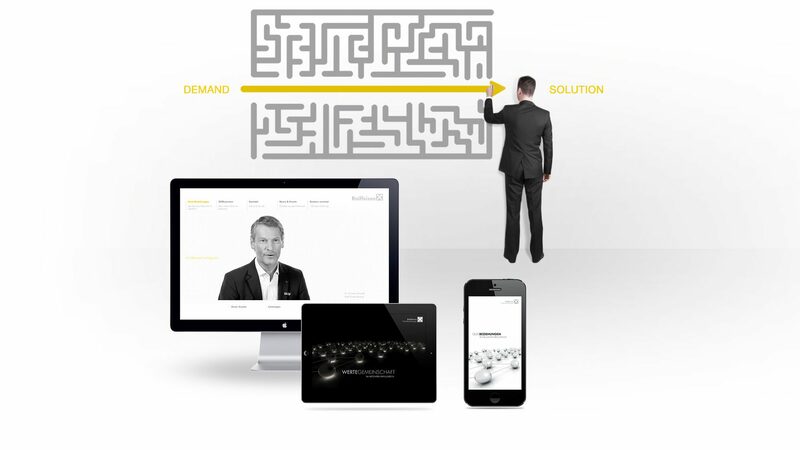 At a glance the „Raiffeisen Gute Beziehungen“ application consists of three core modules. 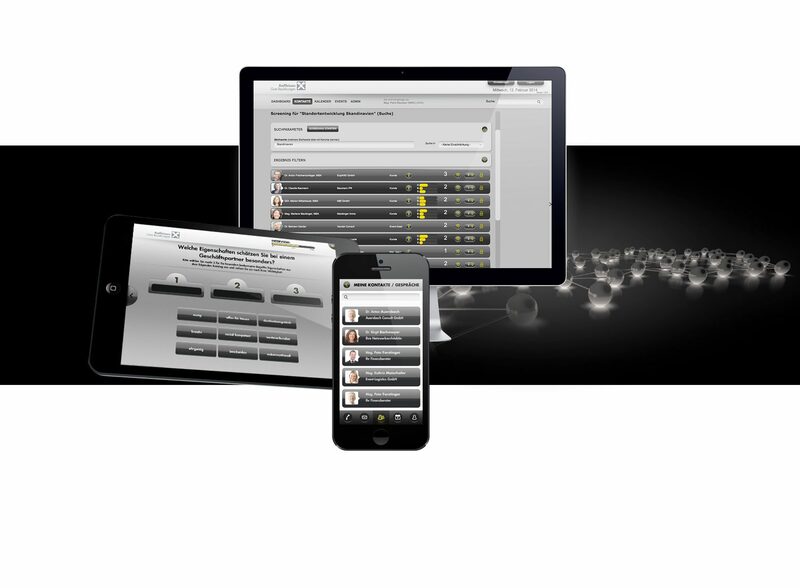 The interview app for iPad collects relevant member data and transfers them to the core application, the central matching platform. The members are linked to their personal network consultants via a smart phone app, receiving contact requests, or sending their own out. Also the coordination of meetings and the exchange of short profiles are a fully integrated part of the app. Finding the right contacts, know how or expertise via the matching platform is daily business for the consultants and a simple task. By setting relevant parameters, the system easily detects potential matches. By involving emotional aspects, the system builds up the basis for successful business relations. Besides strategic development and programming, jumptomorrow also took responsibility for the corporate design, web platform and overall communications for the company.